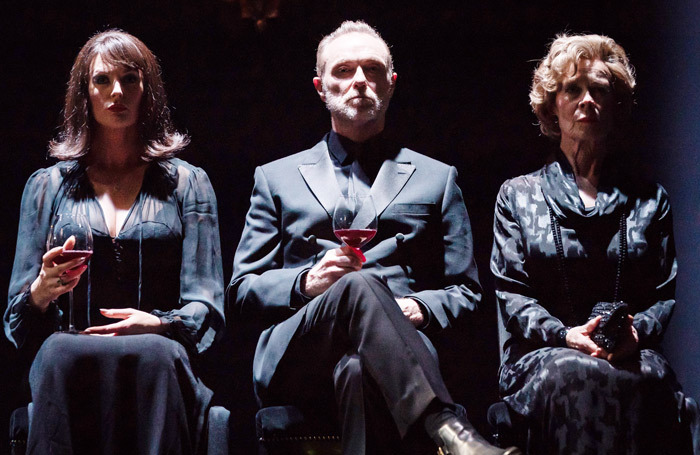 One of the most enjoyable things about this run of Pinter’s short plays is the way they have been programmed – not chronologically but thematically. This way we get to see the playwright’s ideas overlapping and unfurling, tropes being honed, itches being scratched. Pinter Six consists of two of his later plays – in the case of Celebration, Pinter’s last. Both are explorations of the ability of wealth to disconnect people from their humanity. 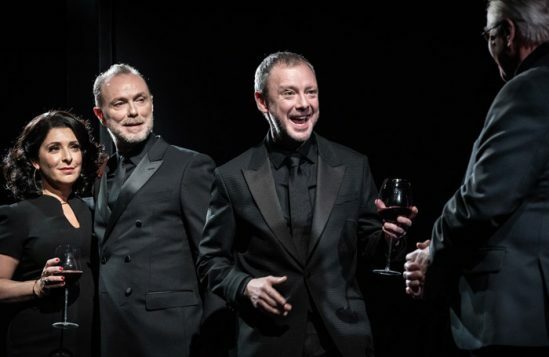 Neither is a masterwork, but Jamie Lloyd can make even the most middling Pinter sing and he’s assembled an Avengers-level cast in order to do so. In Party Time, written in 1991, a group of men and women meet in their plush club to drink and talk, while the world rages outside the doors. There are hints of an uprising, but the cosseted club members are confident order will soon be restored. Their moneyed bubble is occasionally punctured when one of their number, Eleanor Matsuura’s Dusty, asks about the whereabouts of her brother, Jimmy. But each time she is swiftly and cruelly silenced by Phil Davis’ bullish Gavin. The play would read as dystopian were there not a number of similar institutions within strolling distance of the theatre. The ending is a bit heavy-handed, as Jimmy finally comes bursting in, wearing an ankle-tag and a hoodie, his face bloody, but Lloyd makes the play seem queasily prescient. In Celebration, two brothers and their wives meet in an expensive restaurant to celebrate one of their wedding anniversaries. Davis and Ron Cook play these men as East End lads made good, revelling in their riches, decked out in the shiniest of shiny suits. 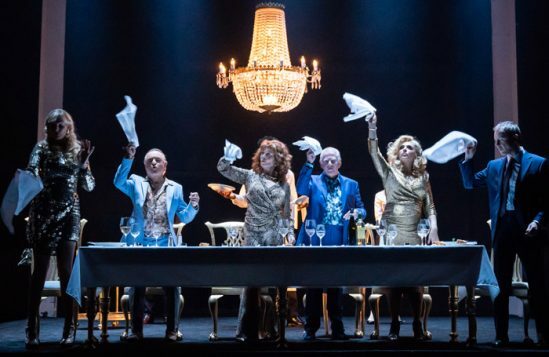 Tracy-Ann Oberman and Celia Imrie are magnificently bewigged and beglittered as their wives. John Simm and Katherine Kinglsey are the reptilian banker and his secretary wife, who end up joining them for dinner. All the performances are first rate. 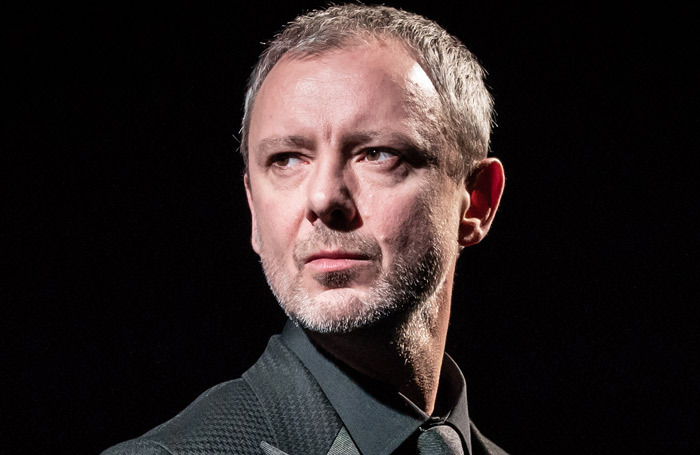 Simm in particular can convey repulsion with a single twitch of his lip. Soutra Gilmour’s costume design for both pieces is magnificent – in Party Time everything is almost oppressively sleek and black; in Celebration, it’s all Lurex, snakeskin and questionable pastel jackets. But the use of East End caricatures, while presumably a nod to Pinter’s Hackney background, feels uncomfortable at times, the characters’ coarseness and cultural ignorance entangled with their class. The way that women are repeatedly belittled in both plays is also awkward. 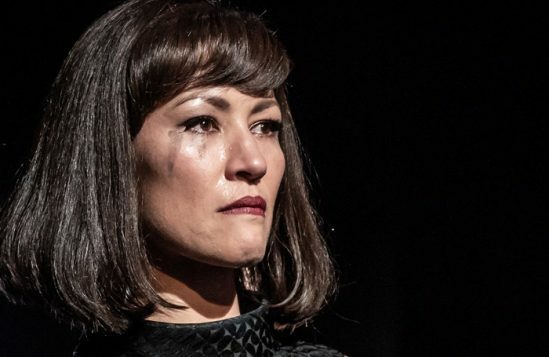 While it’s part of the landscape being satirised, it does feel as if Pinter was less interested in interrogating this particular power imbalance and, though the characters played by Kingsley and Matsuura reveal their unease and contempt through little gestures, it still strikes a sour note. As in Party Time, the characters’ cocoon of affluence is cracked, this time by Abraham Popoola’s genial waiter, spinning stories of his grandfather’s literary friends. 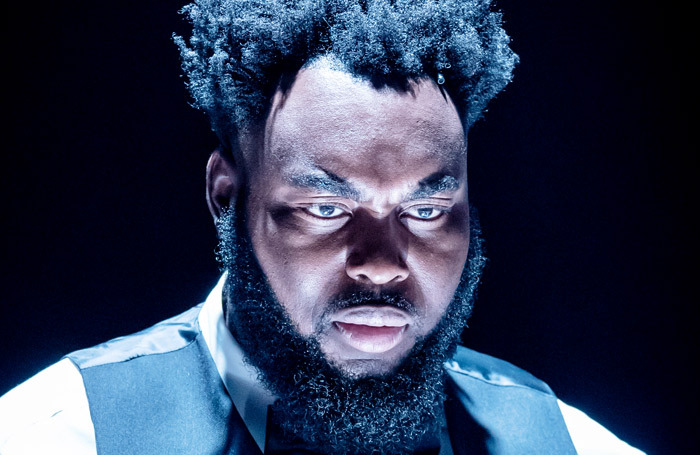 Popoola is a delight in this role, with a strong comic sensibility and, fittingly, he gets the last word. The Jamie Lloyd Company, ATG Productions, Ben Lowy Productions, Gavin Kalin Productions and Glass Half Full Productions.